The man was beyond excited. I could feel the unbridled energy in his email. He had just read a post on my blog “Auction Finds” about a Huey P. Newton Black Panther poster from 1971 that sold for $16,000 at Swann Auction Galleries in New York. It was an iconic poster of the Panther leader sitting in a wicker chair with an African spear in one hand and a rifle in the other. It was a poster that many college students had hung on their walls and tossed in the trash at the end of the school year. The poster was a representation of the radical side of the civil rights movement, and as thus, was an important relic of history. It was purchased by a museum, most likely the National Museum of African American History and Culture in Washington. 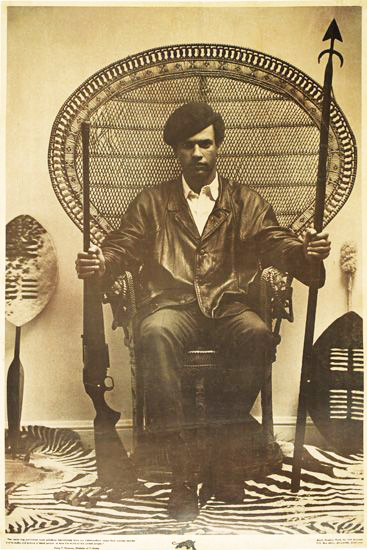 Black Panther Leader Huey P. Newton in an iconic 1971 poster. Before the museum’s opening in 2016, its representatives were always at Swann, snapping up artifacts and artwork at prices that most of us could not touch. It was also the first time the poster had come up for sale at the auction house; that’s another reason why the price was so high. But the museum had to fight for it. The bidding started at $950, and the auctioneer jokingly kicked it up to $10,000 – never imaging that it would ever reach that point. But bidders kept pushing it higher and higher. My blog reader focused only on that sale. He apparently ignored a post I had written a few months before his email about the latest sale of the poster. It went for $2,200, likely to a private buyer. That was its correct value. When you’re researching an item, remember that you’re looking at prices that are not fixed but are very likely to fluctuate. What an item is worth depends on who’s looking for it at a given time and how much they’re willing to pay. It also includes other such factors as the rarity of the item, its provenance or history of ownership, and the reputation or notoriety of its maker. The reader did one thing right and another thing wrong: He searched the web for the “sold” price of the poster. But he got too excited about the first price he saw, assuming that his poster was worth the same price. In fact, the buyer paid more than $16,000 after the auction house’s 20 percent premium was added, pushing the sale to $19,200. This reader’s question came a few years after I began writing my blog. His was not the only one. I began getting emails often from folks asking me to put a value on their item or help them identify it. They saw me as an expert who could give them a quick guess, sometimes without even sending me a photo so I could see the item and its condition, which always affects value. I initially resisted their requests because I figured it was easy for them to find the same information as me by digging through sources on the internet and eBay. I figured that everyone was familiar with eBay, which had been around for about 20 years. A friend pointed out that I was wrong, that a lot of people didn’t think of eBay as a place to search. They knew it as an auction site to sell or buy, but never to do research. With its millions of sales, eBay has set the price and the bar on many items. It’s hard for a seller to represent an item as “rare” when you can find thousands of them on eBay, sometimes at rock-bottom prices. The internet has opened up auction houses and other establishments to sellers and bidders around the world and then allowed them to post asking and sale prices. 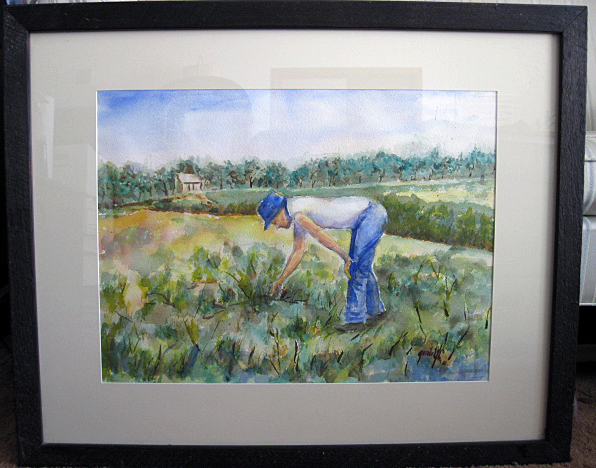 After a reader asked me about three watercolors by Louisiana folk artist MC “Five Cent” Jones, I decided to write a blog post with tips on how to determine an item’s value. The woman’s parents had bought the paintings 20 years ago. Her mother was now 91 years old and had medical expenses, and the daughter wanted to sell the artworks to help pay the bills. I used Jones’ full name as the search terms, and found several galleries and auction houses with his works. He was a “listed” artist whose name could be found in online databases, art anthologies and reference books, and he had a record of sales in galleries and at auction. I suggested that she have one of those galleries to sell them for her. The gallery obviously would require compensation for consigning the works, and it could take some time for them to sell at a good price. She could also take the paintings to an auction house where they could be quickly sold, but likely at a lower price. At the time she emailed, the galleries were asking $75 to $1,000 for Jones’ works. Currently, very few galleries show their asking or sold prices. Last year, a Virginia auction house sold his works at prices ranging from no sale to $125. 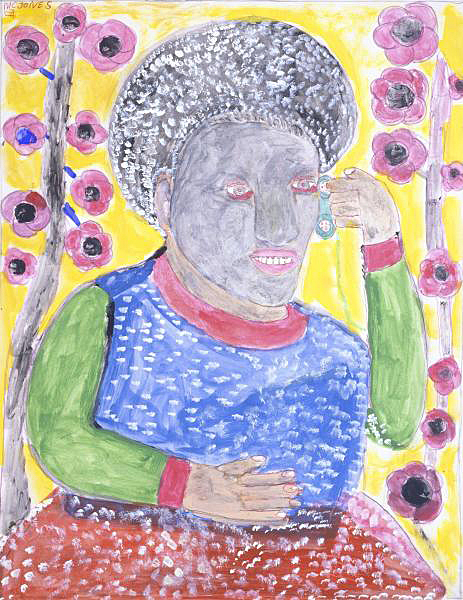 “Untitled (Black Woman and Flowers)” by Louisiana folk-artist MC “Five Cent” Jones. In collection of Smithsonian American Art Museum. Writing the tips’ blog post didn’t help, though, because readers weren’t searching for tips, they were combing the web for their particular item. So, they continued to email me with questions. I got so many that I began a Readers’ Questions series: Each Friday, I answered one or two questions by researching an item for its sales prices or identification. I chose the ones that were both interesting and fun, because I love to turn back the covers of history and find the amazing stories in hiding. The idea behind the series was to walk readers through the process of how I came up with the information in the hopes that they would learn from it. One of the best was the mystery of the pressed-glass water tray. The reader wasn’t necessarily interested in the value of the tray but its identity. I hadn’t seen anything like it at auction – and a lot of stuff shows up – so I was intrigued. She had bought the tray at an estate sale, where you can find some good buys if you know what to look for (or get lucky). It was covered in rust and calcium, which she removed by soaking it in vinegar. The image on the balky mule water tray shows a family trying to get its stubborn mule to cross the railroad tracks ahead of a speeding train. In my initial search of the web – using search words from her description – I found a glass tray like hers that sold at auction for $25 and was described as “rare,” which is rarely the case. I also found the name of the maker and searched using it. 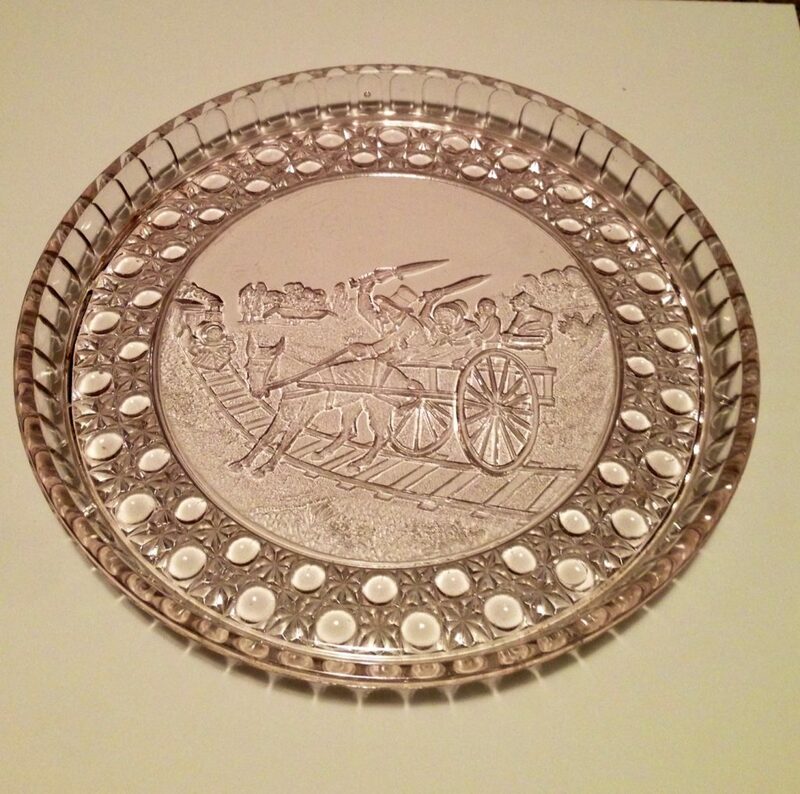 The tray, which was selling on eBay and several retail sites on the web, was identified as the “Currier & Ives Balky Mule water tray.” So, I assumed that the well-known print-maker Currier & Ives had sanctioned the tray. The tray was made circa 1880s, possibly by two manufacturers. Currier & Ives was not likely one of them. I’ve learned in my years of research that misinformation abounds on the web, and it’s important to check several sources to get to as close to the truth as possible. As for value, some sellers were asking up to $100. The highest price currently on eBay’s “Completed Listings” of actual sales was $40. I ran the Readers’ Questions series for about two years. I no longer do research other than for my blog posts. Sometimes, but not very often, I get stumped about an item no matter how deep I dig. There may be no inscription or maker’s name on the item. That’s when I get creative. I take a closer look at it, using a magnifying glass to make sure I haven’t missed some fine print. For a few years, a friend and I offered a presentation titled “Don’t Throw Away Your Family’s Treasures” in which we showed folks how to determine the value of their items before throwing them out with the trash. At one of those sessions, a woman arrived with a black vase with a pedestal base. Looking at it, I knew that it was of very little value. I’ve been going to auctions long enough to know what’s what. The vase had belonged to her grandmother who lived in North Carolina and died in the early 1960s. The vase was in the shape of a trophy. 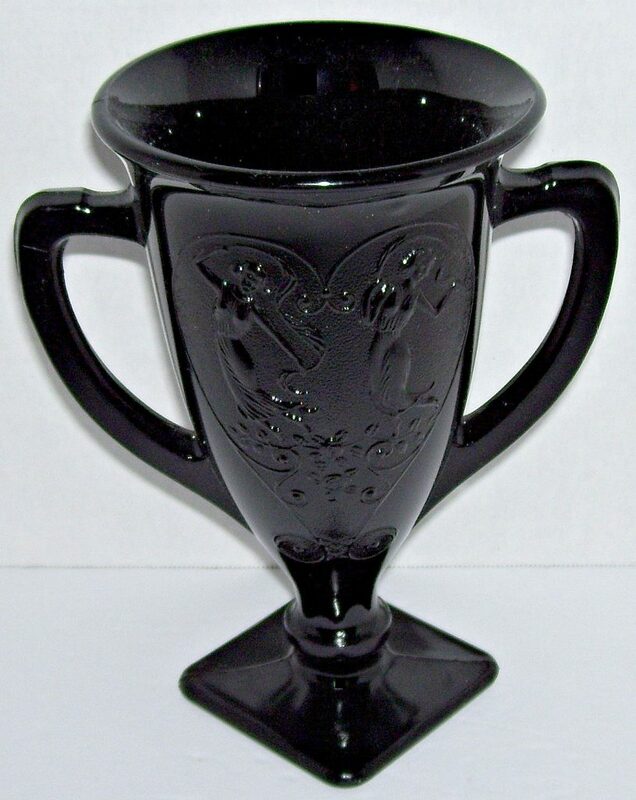 So, I Googled “black trophy cup,” based purely on what it looked like. Miraculously, I found a cup like hers, but it was not black but amethyst, a deep purple that that was so dark that it looked black. You could see the purple only when the cup was held to the light. It was described as a “loving cup” and a “black amethyst depression cup or vase.” With a name to go on, I found a lot of these cups on the web, but unfortunately, they were not selling so well. Currently, they were not selling at all on eBay. An amethyst loving cup for sale on the etsy.com website. Even though the cup was not worth much, the woman was now armed with information about it. Unfortunately, most of us don’t have the types of items that are as valuable as those on the orchestrated Antiques Roadshow, which spends a lot of time on items that have some value but little time on those that are worthless. It’s not hard to find fake items on the web. People are either selling them or debunking them. A “Zippo” lighter that a reader found in an attic was one of them. Every cigarette lighter is not a Zippo. Its lighters are well marked with the Zippo logo and the date code and patent info on the base. It was not a Zippo. 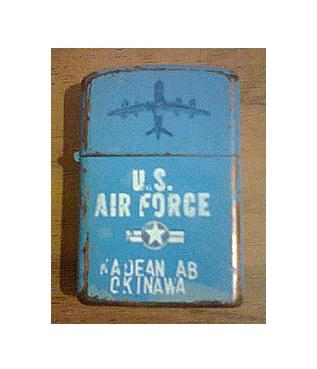 In fact, the name of the air force base was misspelled; it’s Kadena Air Base in Okinawa, Japan, not Kadean. End of search. A cigarette lighter that is not a Zippo. The name of the air force base is misspelled. Those yellowing newspapers that your grandparents kept in the musty basement on the Kennedy assassination in 1963 are not worth much. Many families bought and hoarded them because the murder of the president of the United States was both shocking and unbelievable. I got so many newspaper questions that I interviewed Timothy Hughes of rarenewspapers.com for a blog post. Hughes is an expert who has been collecting newspapers for more than three decades. Newspapers from cities where an event happened tend to sell better. 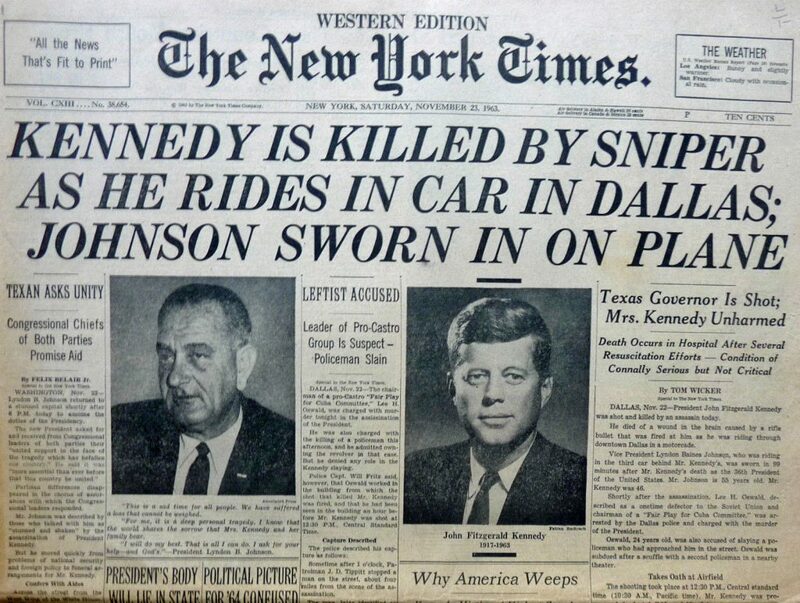 The afternoon Dallas Times Herald reported the assassination on the same day it happened and would cost more. The Dallas Morning News reported it the next day, just as other morning papers across the country. Because it was a Dallas paper, it would be worth more to serious collectors (there aren’t many of them). The Nov. 23, 1963, western edition of the New York Times on the assassination and services for President John F. Kennedy. Newspapers from major cities, such as the New York Times or Washington Post, are more desirable than small-town papers – as are complete newspapers. Newspapers on the election of Barak Obama, the country’s first black president, may not be valuable in the future because so many were purchased in quantity. “Scarcity = desirability,” Hughes said, and these were way from scarce. I guess I should dump mine. 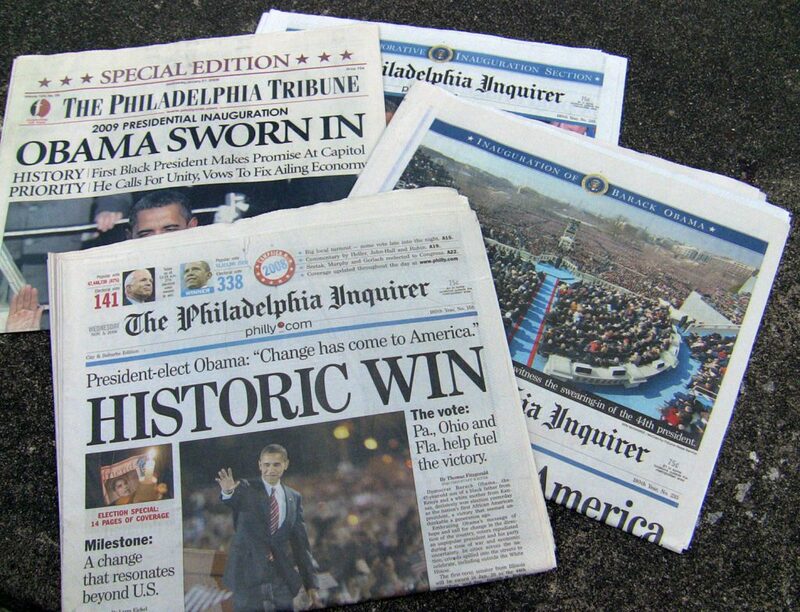 Philadelphia newspapers report the election and swearing-in of Barack Obama as the country’s first black president. As for matchbooks, I used to pick up one or two when I visited restaurants and other places – even though I did not smoke. So did a lot of people, some of whom collected them. Lots of people want to know if their single matchbook or their collection is worth some money. No, it isn’t and they aren’t. Matchbooks only sell for a few cents each (or not at all). It’s a good idea to search anyway for a particular matchbook, just in case it is collectible. I’ve suggested that readers contact the Rathkamp Matchcover Society for information. 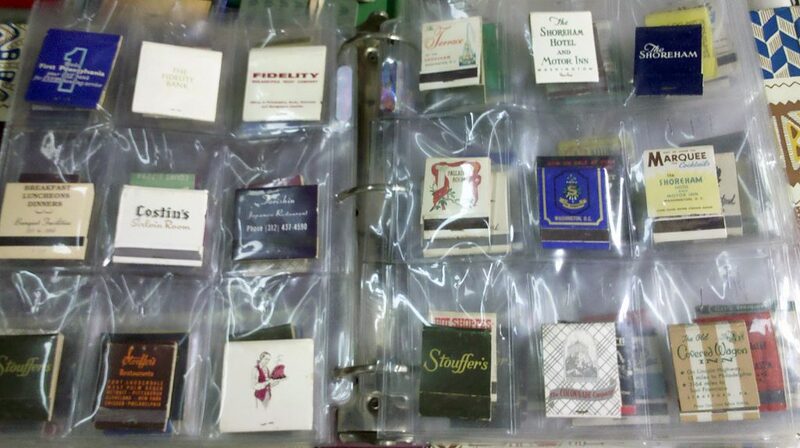 A collection of matchbooks well-kept in plastic pages. A few months ago, a man asked me to look at some items that had belonged to his deceased aunt to determine if he should toss them. Among them was a Singer 301A sewing machine. I had recently missed out on buying a similar machine for $20 at an estate sale, so I recognized it as soon as I saw it. I had already researched the machine by name and knew that it was a winner. His machine sold on eBay for $150. If he hadn’t called me in, he would have left it on the sidewalk with the trash (He had already done that with some items). 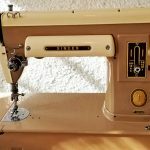 The owner of this Singer 301-A sewing machine was about to throw it out with the trash until he was advised to sell it on eBay. It sold for $150. 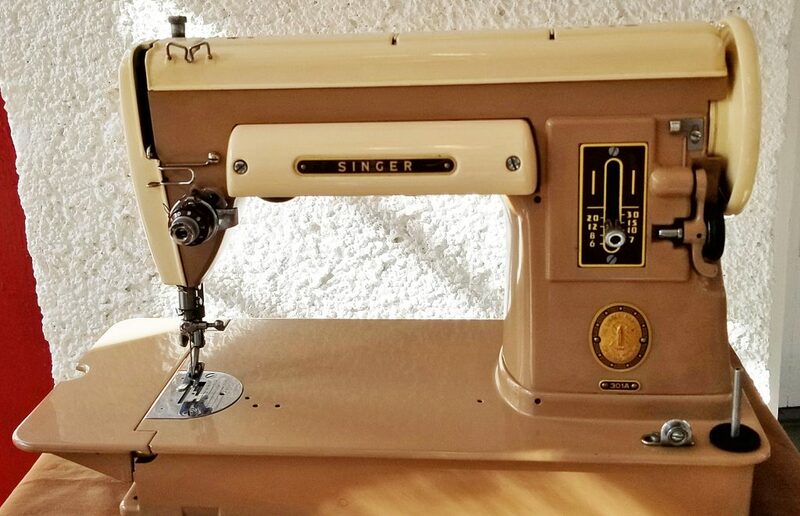 The Singer Featherweight is another popular eBay seller. People still use them and are willing to spend upwards to $500 and more for the machine with attachments. I can barely buy one at auction to resell on eBay because I’m always outbid. The Featherweight is an easy search on the web. 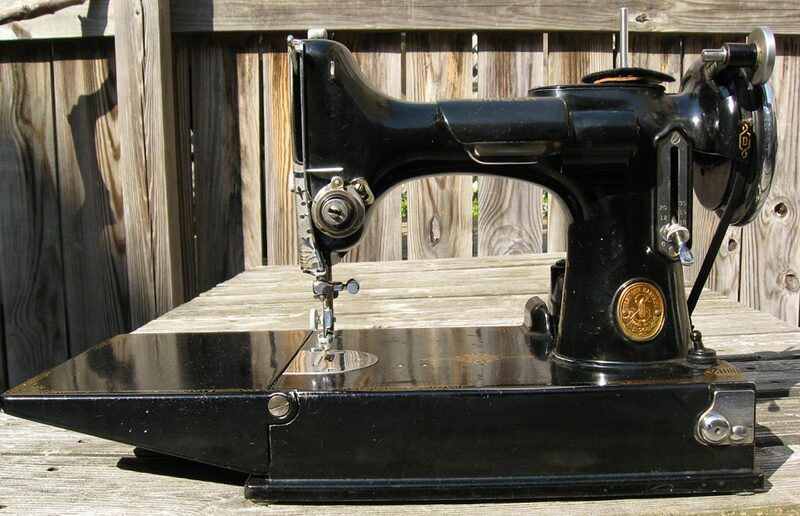 The popular Singer Featherweight sewing machine is a popular buy on eBay. This is easier if you know the name of the item or the manufacturer. If they are not available, use search terms that identify it. Many items have collectors’ clubs and online museums operated by people who are experts in the items they collect. Find them on the web and email them for assistance. Online sites such as LiveAuctioneers and Invaluable, which hosts auctions by individual auction houses, are good sources. They report sales around the world, and the information is free to access. EBay also has a community of experts who may be able to answer your questions in one of its forums. Keep in mind that eBay is like a giant flea market: Most people want to pay as little as possible for items – there’s nothing wrong with that, it’s just who we are. You’ll sometimes find the same item selling for $10 or $500. These are good if you’re trying to identify an item, but not so good if you’re looking to price it. These books are obsolete as soon as they are published. The internet will give you updated prices. Research a few antiques and collectibles shops in your area through their websites and choose ones that appear reputable. Ask the staffers for an eyeball appraisal: They may be willing to examine your item and give you an answer. Some are willing to do so at no cost. Be sure to ask, though. Find auction houses near you via auctionzip.com. Write in your zip code, and a list of auctions and auction houses in your area will pop up. Google a few, check out their websites to see if they offer free or reduced-price appraisals on certain days of the week or a few times a month. It’s a good idea to drop by one of their auctions to get a feel for the trustworthiness of the staff. Sometimes, organizations will hold these types of events, bringing in experts from auction houses to do quick appraisals. These are not true appraisals, just an inexpensive way for you to determine if you should pay to have your item professionally appraised. I went to one of these appraisals a few years ago at an historical house. I took 25 original works by a local cartoonist named Bo Brown. 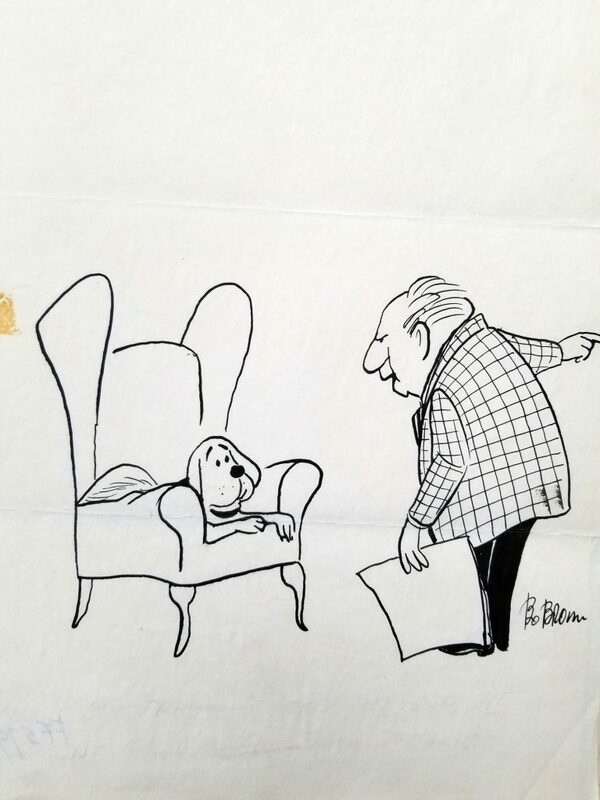 I had already researched the cartoons on the internet and found them selling for about $250 each, but I wanted to know if an appraiser could find anything more. I sat there and watched as the appraiser, using his laptop, found Bo Brown originals selling for $250 each – the same information I had found on my own. This was an appraiser from a well-known auction house. It made me realize that much of the information I needed to attach value or a history or an identity to an item can now be done very easily on the web by me. Some of the emails I get indicate that others have realized the same, because some people contact me after they’ve come up blank with other sources. On another occasion, a reader who owned a painting by Rex Goreleigh once asked me for a “roundabout number” of how much it was worth. He was interested in the number for insurance purposes. A reader asked me to appraise this painting by Rex Goreleigh. I’m not a certified appraiser so I could not, but I did offer suggestions for seeking a professional appraisal. I’m not a certified appraiser so I wasn’t able to help him. Besides, I was sure that his insurance company wasn’t going to accept any figure I came up with. I recommended he check an auction house that offered free appraisals or pay for a professional one, which can be costly. In another case, I suggested to a reader who asked about Indonesian artwork to find an expert in Indonesian art at a local university or gallery. If you feel that your item is valuable, consider having it appraised by a certified appraisal. Appraisals aren’t cheap, so it’s good to follow my tips to first determine if the item is worth hiring a professional. The cost will likely depend on the amount of work required. Be sure to find out how much it will cost before agreeing to get it done. It’s not a good idea to sell to the appraiser. The American Society of Appraisers – which has local chapters across the country – is a good place to look for a certified appraiser. Appraisers have access to online databases that we don’t have access to unless we want to pay a hefty yearly fee. If you have a house full of items for sale, consider calling in a professional to conduct an estate sale on your property. Estate sale companies are experts on the value of items and can easily do the work for you (plus a fee, of course). 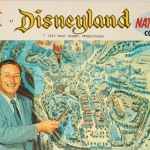 Here are some tips for choosing a company, along with how to find an estate sale near you. 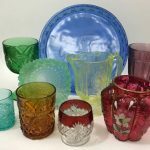 Sherry L. Howard writes the blog “Auction Finds” about the interesting things she finds at auction and the stories behind them. You can read her blog at myauctionfinds.com.